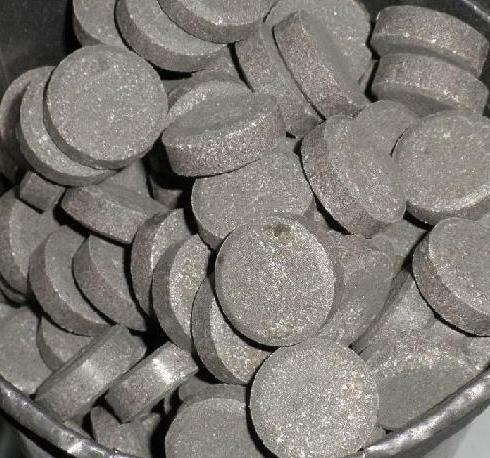 Aluminum Phosphide is a useful inorganic compound used as a pesticide. Read on to know more about this chemical, its properties, uses and its effects on humans. It is mainly used as a fumigant for pest control and as a source of Phosphine gas (also used for fumigation). This inorganic compound can also be used as a wide band gap or energy gap semiconductor. 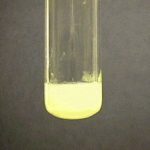 It is a reducing agent, which indicates that it acts as an electron donor in a chemical reaction. The usefulness of this compound as a source of Phosphine gas or Hydrogen Phosphide (PH3) was first discovered by a German company named Degesch. In 1958, the United States registered it as a pesticide to the Hollywood Termite Control Company, Inc. The chemical formula for this substance is AlP. The CAS number for this compound is 20859-73-8. The molecular weight of this compound is 57.955299 g/mol. The density of this substance is 2.85 g/cm³. 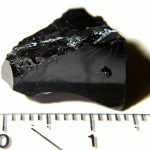 It has a solid and crystallized appearance. The crystals are yellow or grey in color. It has a smell that resembles that of garlic or rotting fish. The melting point of this compound is 2530 °C. Powdered Aluminum (Al) and Red Phosphorus (P) reacts with each other and produces AlP. The mixture of these two is ignited to produce AlP in laboratories. Fumigation is the process of pest control for grains, soil, buildings and other different stored goods. In this case, the AlP is left to react with water and the resultant Phosphine gas is then used as the fumigant. In case of fumigation of grains stored in silos, bins or any other similar container, 2- 4 Aluminum Phosphide tablets should be applied per cubic meter. If the grain is stored in a flat storage area, 3- 5 tablets per cubic meter will be adequate. In case of packed food or other stored goods, it will be sufficient to apply 1 to 1.5 tablets per cubic meter. Insecticide refers to a specific type of pesticide that is used only against insects. AlP is very popular as an insecticide as it is highly effective and very easy to use. The AlP insecticides are usually non-flammable, but it reacts with air moisture and creates PH3 gas which is very toxic and flammable. Due to this reason, these insecticides also contain suitable stabilizers, usually Ammonium Carbamate, to control the development of the poisonous gas. It indicates another type of pesticide that is specifically used against rodents. It is widely used in the US and is among the most poisonous pesticides. Aluminum Phosphide rodenticide can be very effective in driving away small mammals like rats, rabbits and moles. The rodenticide pellets are mixed with their food. Once they ingest it, the chemical reacts with the acids in the digestive system of the animal and produces PH3. As a result, the animal gets poisoned. The use of this material as a fumigant has caused accidental deaths in many countries like Saudi Arabia and the US. The Iranian Forensic Medicine Organization has started a campaign to stop the use of this chemical as a pesticide. It is used as a semiconductor material in different industries. Its alloys with other binary materials are used in devices like light-emitting diodes. It can have hazardous effects on humans in case of inhalation or ingestion. Ingesting it almost always causes the death of the victim. AlP poisoning is most common in developing countries like India, though it also occurs in other parts of the world. There is no known antidote available to this toxic chemical compound. But one medical instance has proved that coconut oil might be useful to some extent to contain the poisonous effects of AlP. Still, there is no simple treatment for AlP poisoning and it is almost always impossible to save the victim. The compound should always be kept in closed containers where it will not have any contact with air or water. Otherwise it will create PH3 which can be fatal for human health. There are a few points that one should keep in mind while taking care of any accidental leakage or spillage of this chemical. The spilled substance should be cleaned without any delay. It is never advisable to have direct contact with the chemical. So, the person handling the compound should always wear dry gloves and masks. Water should never be used to wipe or wash away the leakage because any contact with water will accelerate the production of PH3. The leaked substance can be spread out on the ground (in case of small amount of leakage) and given a little time to get deactivated by the moisture in air. It is used to preserve foods like dry fruits and cereal grains. Proper care should be taken to make sure that the chemical does not come into any kind of contact with the food. In the US, any food fumigated with AlP is kept in open air for 48 hours before it reaches the consumer. In the UK too, special care is taken to make sure that no residue of Aluminum Phosphide is left to affect the food in any way. It does not directly affect the environment. Sometimes, however, a carnivorous animal may eat a rat or rabbit which had died of AlP poisoning. As a result, the second animal gets affected by the toxicity and dies. It may affect the ecosystem. Sometimes, endangered birds and other animals may die in this way. This chemical is highly toxic and may cause some serious problems in a human organism in case of over- exposure. One should always use gloves and safety glasses while handling it. The workplace should also have good ventilation. If experiencing symptoms, victims should move to a well ventilated area. In case the victim is experiencing breathing difficulty, oxygen and/ or artificial respiratory should be provided. The patient should seek medical aid immediately. Inhalation may even cause death of the victim. The affected area should be washed properly with soap and plenty of water. The contaminated clothes should be removed and washed properly before reuse. They should not be left in a confined place. It may cause severe eye irritation. One should flush the eyes with plenty of water in case of direct contact. Medical assistance should be taken immediately. In case of ingestion, victim should immediately wash their mouth with plenty of water for 4-5 minutes. They should drink one to two glasses of water and induce vomiting. Ingestion of this material, whether accidental or intentional, almost always results in death. There are no antidotes or other solutions and it is almost impossible to save the victim. Without proper handling, this inorganic compound may cause much hazards for humans and other animals. Some countries are even trying to restrict its uses in fumigation.